Because up to a quarter of heat escapes through the roof of an uninsulated home. Lay rolls of eco-friendly mineral wool between the joists, then another layer at right angles. If the loft is used as a living space, insulate vertical walls and between and over the rafters with rigid insulation board. ‘Loft insulation loses its performance over the years — it naturally flattens. To perform at its most effective, your loft insulation should be 270mm thick, so upgrade if necessary,’ advises Jason Orme, property expert at the Homebuilding & Renovating Show. You can lay mineral wool yourself, but insulating rafters and walls requires a specialist. From £300 for a three-bed semi. As much as £130 per annum, so you’ll recoup the cost within three years. LED is up to 80 per cent more efficient than halogen bulbs. Simply swap bulbs over. ‘Ensuring your lights are dimmable, too, could save a further 20 per cent energy,’ says Sally Storey, creative director of John Cullen lighting. LED bulbs from about £2 each. Yes — replacing all standard bulbs with LEDs save £35 per year, and they last longer, too. Heating makes up more than half a household’s energy bill. New condensing boilers are up to 90 per cent more efficient than older models. If you have a hot water cylinder, you may decide to buy a regular boiler and keep the cylinder, or go for a combi boiler that doesn’t need one. A regular boiler is more efficient than a combi at producing hot water but some heat is lost from the cylinder, so a combi, which takes up less space, may be more efficient overall. No — work must be carried out by a Gas Safe Registered engineer. £2,300+ for an A+ rated gas boiler, including installation and radiator valves. A typical combi will save up to £200 a year. 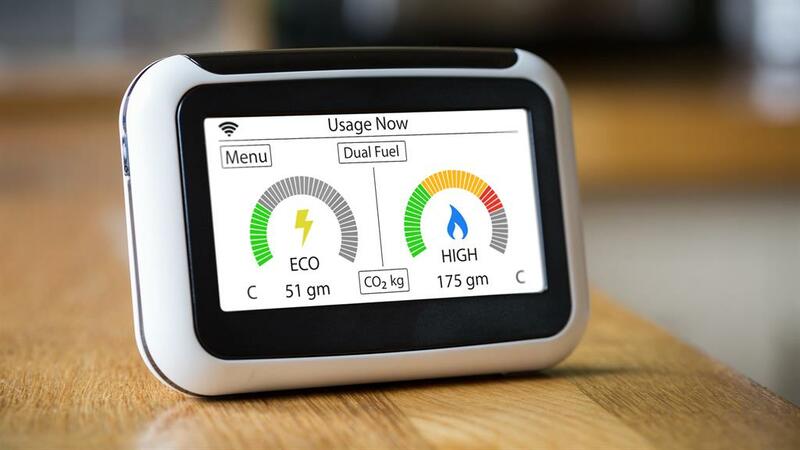 Smart meters keep track of how much gas and electricity you’re using — and wasting. Installed in a couple of hours, it replaces your old meter and tracks the energy you’re using in real time on a small monitor. ‘Once installed, try turning off all but your essential appliances, then turn things back on one by one. You’ll be amazed how much power you’re wasting by leaving things on stand by,’ says Foxtons’ Ben Connolly. No — must be fitted by a qualified installer. Free — and being rolled out across the country by energy suppliers. Not in itself but it will help you make cost-saving changes. Prevents heat loss so you’re not wasting energy. Insulating cavity or solid walls. The type of insulation will depend on how your home is constructed, but most older properties have solid walls, which can be insulated either from the outside or inside. Externally, a layer of insulating material is fixed to the wall before rendering or plastering it. Internally rigid boards are fixed to the walls. It’s cheaper but will reduce floor area. A cavity wall comprises two walls with a narrow gap between them. To insulate, this gap is injected with special material through small holes drilled into the outside walls. Definitely a job for pros. How much does it cost? For a three-bed semi, internal solid-wall insulation costs around £7,400 and external is about £13,000, including redecoration. Cavity-wall insulation for a similar property is about £475. Yes — estimated savings are £245 per year for solid-wall insulation, and around £145 for cavity-wall insulation. Solar electricity is renewable energy and doesn’t release carbon dioxide and other pollutants into the air. Photovoltaic panels fitted on the roof convert sunlight into electricity. Electricity can’t be stored, but excess can be exported to the grid. No, you’ll need a specialist. How much does it cost? An average system costs around £6,200. Use major appliances during daylight hours, when electricity’s being generated to save up to £220 per year on bills. 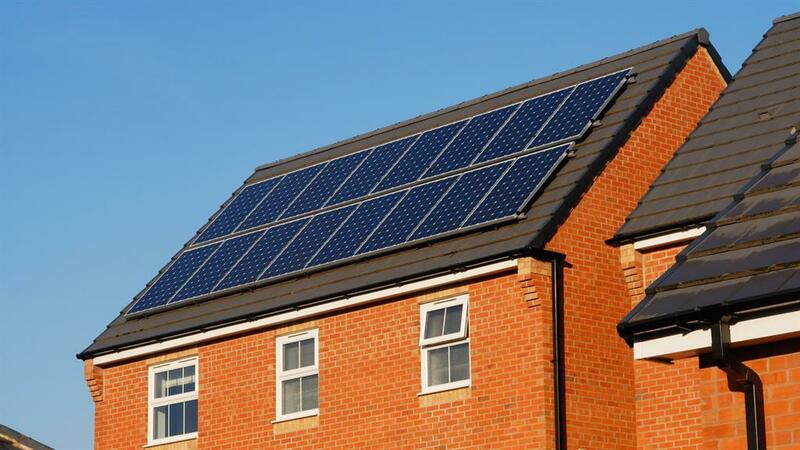 Households currently earn as much as £250 per year for generating their own electricity and selling surplus back to the grid through the Feed-in Tariff scheme, although no new applications will be considered after the end of next month. You’ll need less energy to heat your home. Plug gaps along the sides of windows with self-adhesive foam strips, fit brush strips to the bottom of external doors and invest in a letterbox flap and keyhole cover. Conserve energy by drawing curtains or pulling down blinds at dusk. From about £5 per roll of draught sealant. Replacing single glazing with double-glazed panels. Another one for the professionals. About £80 per year in a semi-detached house. White goods can account for up to 20 per cent of a home’s energy use, so look out for a high eco rating. A+++ currently denotes the most energy efficient appliances, but labelling is reverting back to its old A-G format over the next few years. You can install electrical items yourself, but not gas. From about £550 for an A+++ rated freestanding fridge freezer. 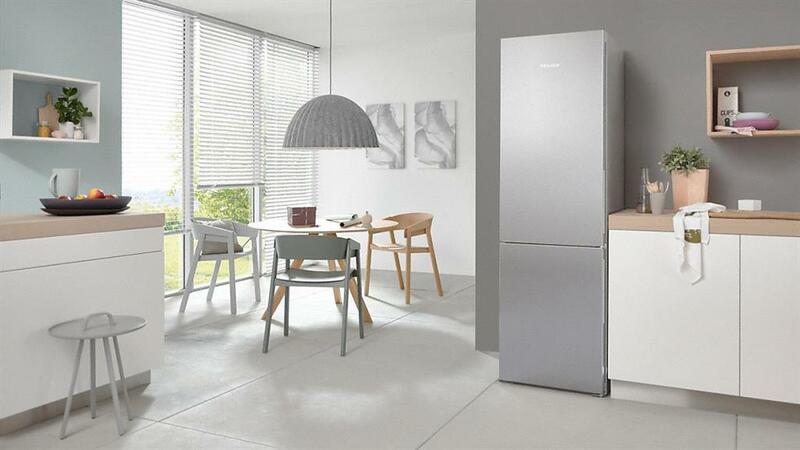 An A+++ fridge-freezer will save you about £255 in energy bills over its lifetime, compared to an A+ model. Small changes can make a big difference. ‘Put on another jumper, reduce your thermostat setting by one degree from 20C to 19C and delay turning on your heating from October until November. If everyone in the UK did this, we would save more than the output of the new £20billion Hinkley Point C power station!’ says Alex Lifschutz, founder of architects Lifschutz Davidson Sandilands. Other good habits to cultivate include making sure your TVs aren’t on standby; unplugging phones when charged and switching off lights when you leave the room. You’ll be quids in to the tune of £150+ per year.